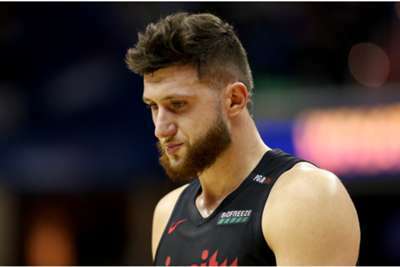 Jusuf Nurkic suffered compound fractures to his left tibia and fibula on Monday, the Portland Trail Blazers have confirmed. The Bosnian center sustained the gruesome injury late in the second period of overtime against the Brooklyn Nets as he fell awkwardly after going up for a rebound. Nurkic was stretchered off court at a hushed Moda Center before the Trail Blazers won 148-144 to clinch a playoff spot. Portland described the injury as "season-ending" and added: "There is no timetable for his return to basketball activity." Nurkic had contributed 32 points and 16 rebounds in a superb individual display against the Nets. He averaged 15.6 points, 10.4 rebounds and 3.2 assists this season. The player's team-mates were understandably shaken by the injury, with Enes Kanter lost for words before the extent of Nurkic's ailment was announced. "It's tough. 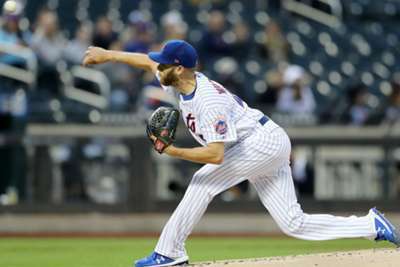 Seeing one of your brothers go down like that, I just don't know what to say," Kanter said. "But tonight I'm just going to go home and just pray for him because this is way bigger than basketball." Damian Lillard said the blow would motivate the team down the stretch in 2018-19. "He wouldn't want us to say, 'alright, let's feel sorry for ourselves, feel sorry for Nurk and not care as much'," Lillard said. "We're going to finish the job."